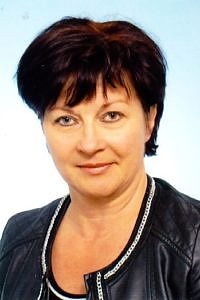 Dr Leokadia Róg, Doctor of Sciences specialising in chemical technologies. Head of the Department of Solid Fuels Quality Assessment at the Central Mining Institute (GIG). Expert in major research and development area of environmental engineering. Long experience in quality analyses of solid fuels, solid biofuels, and solid recovered fuels in the aspect of their application opportunities in various technologies. In charge of research on the impact of coal quality on its combustion efficiency in various furnace types. Specialises in manufacturing technologies and management methods of low-energy fuels (SRF) and analysing chemical composition of waste, determining its quality parameters and management opportunities in the industrial sector. Author and co-author of 70 publications in national and foreign journals scored in the list of the Ministry of Science and Higher Education, and co-author of two monographs. Manager of the Polish package (implemented by GIG) within RFCS project: “Advanced Substitute Natural Gas from Coal with Internal Sequestration of CO2 2013-2014” and in the currently implemented RFCS project “Integrated and Intelligent Upgrade of Carbon Sources Through Hydrogen Addition for the Steel Industry” – (i3upgrade). Participation in other projects: (1) Development of Coal Gasification Technology for High Production of Fuels and Energy. (2) Concentration of Natural Radio-Isotopes in Coals with Varied Petrographic and Chemical Composition, (3) “Hydrogen Oriented Underground Coal Gasification for Europe”, HUGE 2006-00007, (4) “Improvement of Coal Carbonization Through the optimization of Fuel in Coking Coal Blends“. Currently also in charge of implementation of the project: “Technology for Biodetoxification of Wooden Waste Impregnated with Creosote Oil for Application as Fuel or Fuel Component”. Elaborated on and implemented the CCSEM methodology as an innovative coal analysis technology. Also participates in the works of: International Committee for Coal and Organic Petrology (ICCP).